A 10-week self-improvement program where David personally guides you through how to implement his blueprint of 9 Inescapable Truths for a Prosperous Life. It’s a truism to say that you may not be able to control what happens to you in life, but you can certainly choose how you react and what you do about whatever life experiences occur – the good, the not-so-good, and the downright terrible. … then the Inspiring Personal Prosperity on-line study program will be a great help to you. The key to the value of this program is in the framework of questions and exercises that are designed to get you mindfully and intentionally thinking about the things that we know science validates will help you live a more happy, flourishing and prosperous life. This is your personal invitation to join me on the Inspiring Personal Prosperity Program, as I coach and mentor you through this life-changing improvement process. 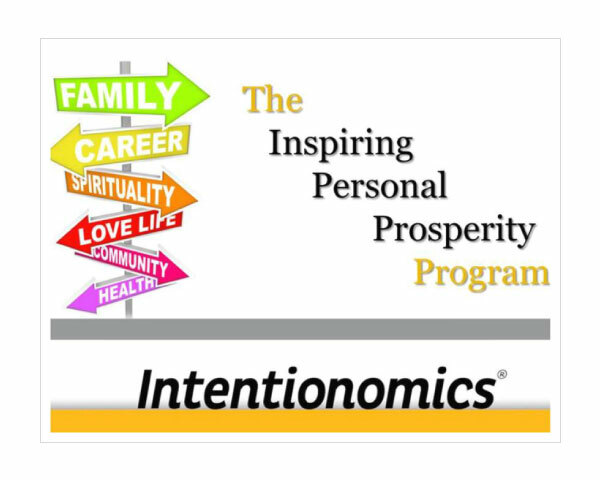 Each week for ten weeks I will send you an email with links to the on-line mentoring modules that I’ve created to help you implement the Intentionomics Blueprint of 9 Inescapable Truths for a Prosperous Life. 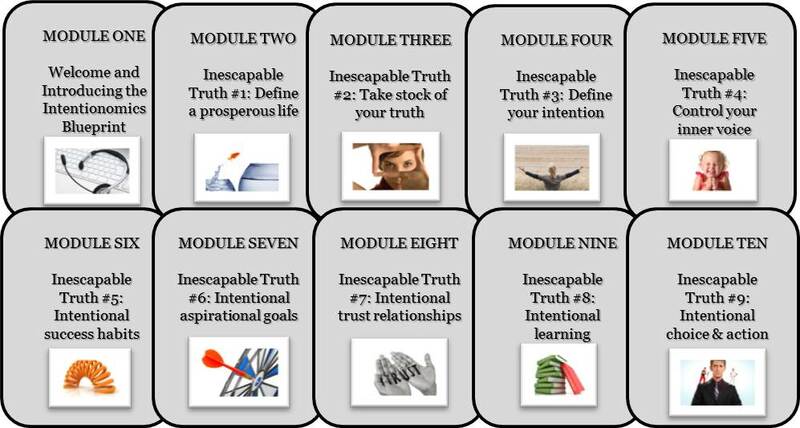 These are the main resources for the program and in each on-line mentoring module I provide you with a video where I present you with new content and ideas on each of the Inescapable Truths for a Prosperous Life. Each video is supported by additional content and commentary to help guide you to complete the worksheets and gain the most value from your Inspiring Personal Prosperity Workbook. 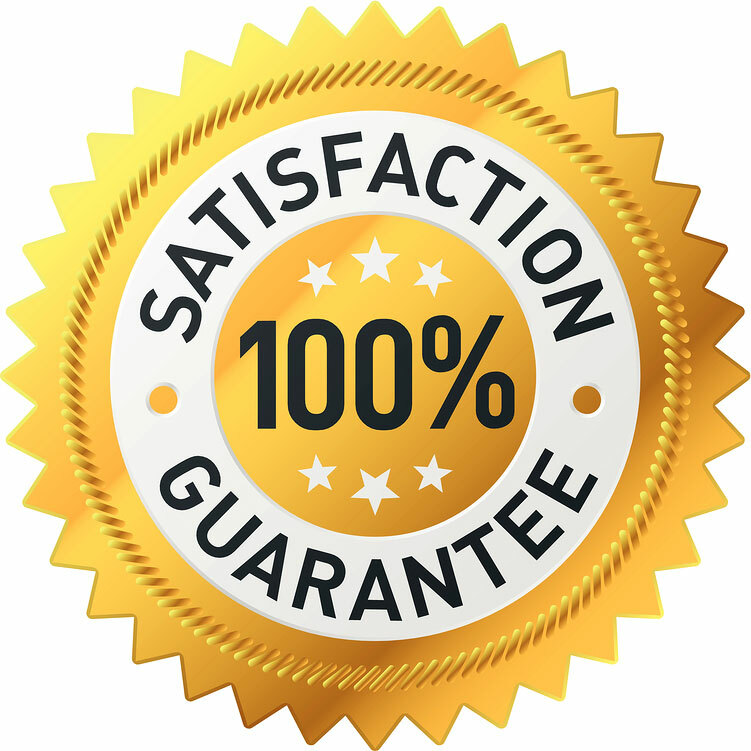 If at the end of the tenth module you’re not 100% satisfied in the value you’ve received, I will personally refund in full your financial investment. All you need do is email me with how you’ve implemented the program as recommended but not satisfied with the value you’ve received, and I will refund your investment… and you can still keep the bonus gifts detailed below. So, when you’re comfortable, confident and ready to allow me to help guide you through the Intentionomics Blueprint of 9 inescapable truths for a prosperous life, click on the register now button and I look forward to working with you and helping you take intentional action to live an even more happy, flourishing and prosperous life.